Holland Hill Elementary School is a public K-5 school situated on 12.5 acres in southern Fairfield. 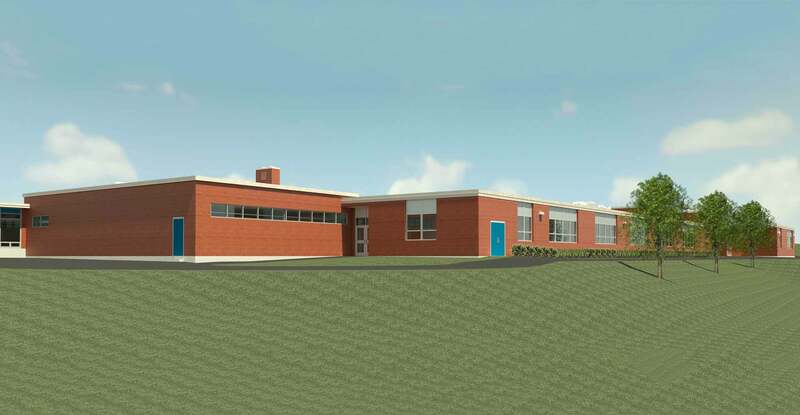 Built in 1956, with later additions and renovations, the school presently totals approximately 42,000 sf. The current population of 407 students is projected to increase to 440 through 2026. 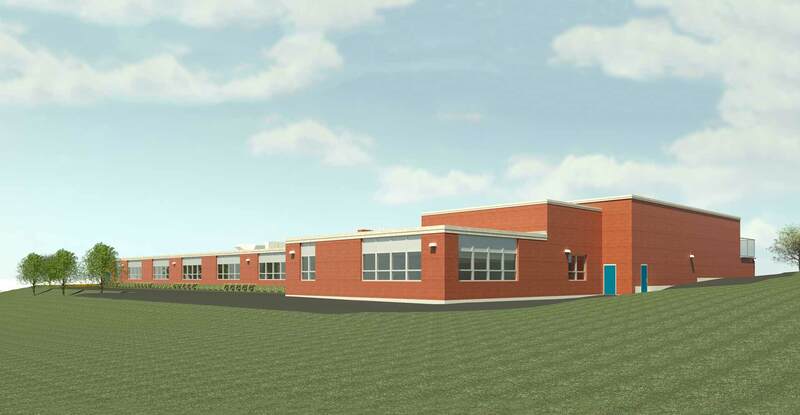 In 2016, Kenneth Boroson Architects was retained to design a renovation/addition to bring the school into compliance with the Educational Specifications approved by the Board of Education for a projected enrollment of 504 students. The project has two goals: to immediately alleviate overcrowding, and to address the long-term requirements of increasing enrollment. The school also serves the community as a venue for meetings and events for organizations such as PTA, Scouts, school clubs, and civic groups. 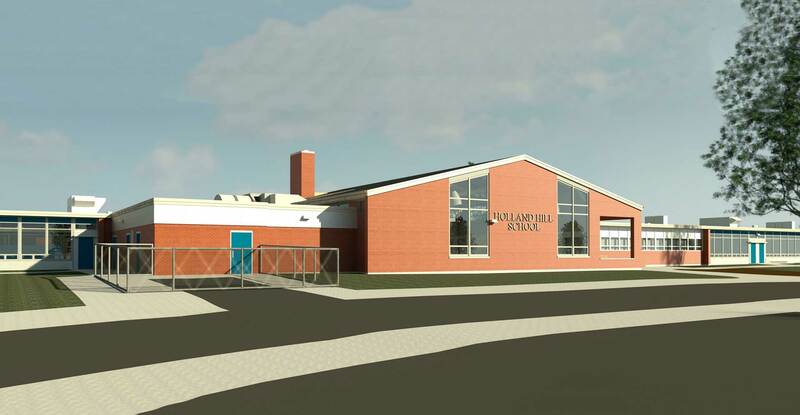 The addition, approximately 12,000 sf, will eliminate the need for relocatable classrooms outside the building by adding new homeroom classrooms while also providing dedicated program spaces for the music and special education programs. New and renovated spaces will encompass increased security measures and increased accessibility for students and staff. Support spaces for general and special education programs will be added throughout the upgraded facility. Expanded spaces will include an administrative suite/conference room, health suite, and cafeteria/kitchen. Other improvements will include building and fire code updates, a new fire sprinkler system, new HVAC systems, and dedicated IT spaces.